Human activity is changing the Earth. Man-made planetary changes potentially threaten wellbeing and security around the world. But how do we actually know about these risks? How do we see our impact on the planet? How do we anticipate the planetary future? Our research project seeks answers to these questions. To anticipate, manage and control the risks of unfolding environmental changes, humans have developed a whole range of instruments and tools. These knowledge practices – including simulation, remote sensing, mapping, or scenario planning – do not simply depict a pre-existing reality. Instead, they bring about multiple versions of the environment and enable different forms of intervention. The research project studies these forms of world-making and their underlying cosmologies in the fields of Climate Science, security policy, and civil protection. It asks how tools and methods of anticipating environmental risks circulate between these different epistemic fields. It traces the actor-networks and their knowledge practices in three in-depth case studies: remote sensing, resilience promotion and geoengineering. Without the view from space we would not know about many human-made transformations of the Earth system. Modern satellite technology allows us to detect large-scale changes of the Earth’s surface and to monitor the composition of the atmosphere or the condition of vegetation. 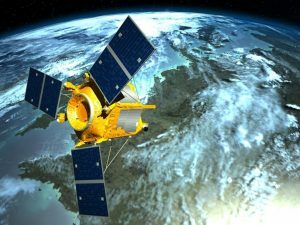 Satellite remote sensing data is thus used to detect environmental risks including resource scarcities and resulting conflicts, natural disasters and environmental displacement. With the recent rise of geospatial big data, satellite technologies even promise to predict the future. We investigate how experts in the security and civil protection fields draw on satellite remote sensing to anticipate future environmental threats. We trace the actor-networks emerging around these anticipatory forms of governance. Finally, we study the socio-technical imaginaries and aesthetic conventions that inform techniques of satellite forecasting. 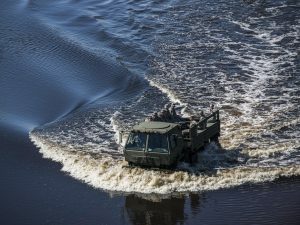 In recent years, the concept of resilience has become the dominant approach to providing security against the risks of the Anthropocene. 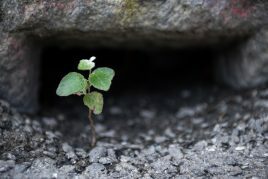 Resilience accepts the unpredictability of a dynamic world that is marked by non-linear change. Resilience promotion projects thus seek to prepare vulnerable populations, regions or infrastructures for the unpredictable. Following a rationale of “the people know best”, resilience promotion projects seek to mobilize local, tacit forms of knowledge. A whole range of techniques, including participatory mapping, stakeholder workshops or community-theatre, are applied to activate the self-help potential of vulnerable communities. The project studies the underlying knowledge politics of resilience and asks about its effects on local communities. Geoengineering refers to human attempts to intervene in the Earth’s climate system – for example by injecting aerosols into the stratosphere to reflect sunlight or by absorbing and storing CO2 from the atmosphere. Researchers agree that such proposals bear considerable risks. Their governance entails an important temporal element, as geoengineering is about shaping or even bringing about a not yet realized future. Our research project will further these debates by studying how different planetary futures are (re-) produced, visualized and imagined within existing SRM research projects and geoengineering proposals. It scrutinizes how security actors anticipate the future risks of geoengineering. Finally, we are interested in genealogies of Anthropocene discourses and trace the historical epistemes that made the idea of intervening in the Earth System possible in the first place. Researchers from the University of Hamburg and University of Lund meet at the IFSH in Hamburg to discuss research grant proposal on violent climate imagineries. 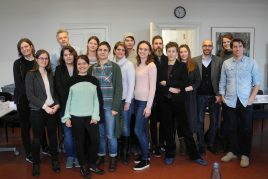 The workshop „violent imagineries of climate change“ (VICTIM) took place on February 11th-12th 2019 at the Institute for Peace Research and Security Policy in Hamburg. Criminologists, peace researchers, linguists, science fiction writers and social scientists discussed the empirical finding that social impacts of climate change are often portrayed as violent in literature, film and science and how this lack of imagination impacts current climate politics. The University of Hamburg seed-funded the workshop. It serves as the point of departure for drafting a larger research grant proposal on imaginaries of violent climate change. The article reflects upon the impact of the extreme summer on the public discourse on climate change in Germany. 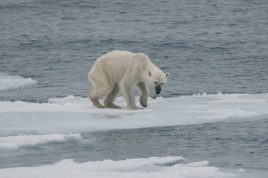 It argues that it challenged the ways dominant ways of seeing climate change. Rather than as a distant threat, global warming would increasingly be perceived as a catastrophe, which is already happening. 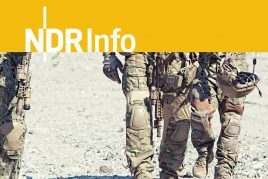 Delf Rothe spoke on NDR Info about the potential security implications of climate change [in German]. Delf warned against a securitization of climate change and stressed the complexities and uncertainties of climate change and security links. The interview was broadcasted within the NDR’s „Strategien & Streitkräfte“ show, which provides critical analyses of contemporary peace and security issues. 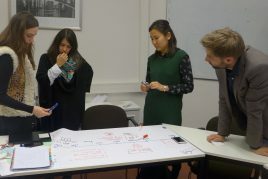 Members of the Anthropocene-Security-Projekt Team carried out a scenario planning exercise on future security risks of geoengineering with postgraduate students of Peace and Security Studies at IFSH Hamburg on November 29th/30th. A brief documentation can be found here. Ann-Kathrin Benner and Delf Rothe presented their research on legacies of the Cold War in contemporary Anthropocene thinking at the Earth System Governance Conference in Utrecht on November 6th 2018. The paper was part of a double-panel on the ethics of future-making in the Anthropocene organized by Eva Lövbrand, Silke Beck, Alejandro Esguerra and Henrike Knappe. The paper abstract can be accessed here. Delf Rothe presented the paper Jellyfish Encounters: The Paradox of Security in the Anthropocene at the Pan-European Conference on International Relations in Prague, September 12th-15th 2018. 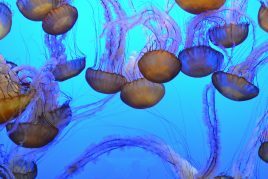 The paper uses the example of a recent rise of jellyfish that threaten to take over the oceans to rethink the notion of security in the Anthropocene. It describes how jellyfish emerge as a posthuman security threat that is literally ungovernable. As jellyfish blooms can neither be mapped nor predicted, humanity increasingly relies upon extreme measures, such as jellyfish killer robots, to cope with the risks of the Anthropocene. The draft paper is available upon request. Co-convened with David Chandler at the Pan-European Conference on International Relations in Prague, September 12th-15th. 2018. 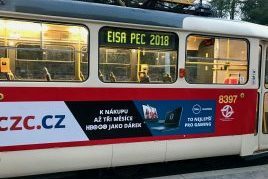 Delf Rothe co-convened a section on Anthropocene politics: IR after the end of the world together with David Chandler (University of Westminster) during this year’s EISA annual conference in Prague. The section was composed of nine panels and a roundtable discussion devoted to interrogating the claims made for (and against) the Anthropocene as “the end of the world as we know it”. The speakers raised questions about notions of time and critique in the Anthropocene, environmental politics and geopolitics, the possibilities of decolonizing the Anthropocene, its nuclear origins and challenges for IR theory. 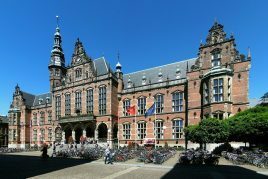 Delf Rothe presented the paper Between Bending Trees and Standing Rocks: The Visual Politics of Resilience at the European Workshops in International Studies, 6-9 June 2018 in Groningen. The paper was part of the workshop Doing Visual IR convened by Jonathan Luke Austin and Stephanie Perazzone. The workshop brought together 20 international scholars to discuss the role of visuality and visual methods in the study of world politics. In his contribution, Delf studied how images are used to make sense of resilience and how visual methods such as mapping, drawing or sensing are applied in resilience promotion projects. Delf Rothe presented the paper “Growing Resilient: Human-plant relations and the ‘hortomentality’ of resilience in the Anthropocene" at the ISA Annual Convention 2018 in San Francisco. The paper analyzes different policy proposals to increase urban resilience through city forestry and urban gardening. The paper was presented at the panel discussion The Vegetal Moment in Global Politics? Vegetal Ontologies of Presence and Resistance in the Anthropocene that was co-convened by Charlotte Heath-Kelly and David Chandler. Delf Rothe presented the paper A Tale of Two Camps: Remote sensing migration and the securitization of physical disorder in refugee camps at the ISA Annual Convention 2018 in San Francisco. 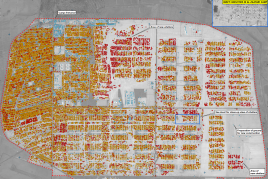 The paper that Delf co-authored with his colleagues Christiane Fröhlich (GIGA Hamburg) and Miguel Rodriguez-Lopez (University of Hamburg) discusses the merits and pitfalls of remote sensing methodologies in the study of refugee camps. The paper was part of a panel on Sensing the Global: The Role of Satellite Technology in the Making of Global Actors, Practices, and Rules that brought together scholars working on satellite remote sensing with practitioners and satellite image analysts. Contribution to the workshop World Political Compositions convened by Jonathan Luke Austin and Anna Leander on the 3rd of April 2018, as a side-event of the 2018 International Studies Association meeting. 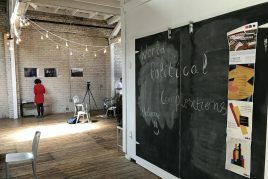 The World Political Compositions project draws together contributions around the concept of composition, in the aesthetic sense of the term, and the five traditional senses of human perception, in order to address the question of how we make sense of the international. In his contribution, Delf Rothe took up this question and asked how we make sense of the Anthropocene. 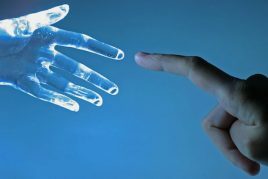 He stressed the role of non-human actants, including remote sensors, space infrastructures, computer models, meteorological databases etc., in practices of world-making. Rothe, Delf and David Shim. 2018. Sensing the ground: On the global politics of satellite-based activism. Review of International Studies, 44(3), 414-437. In recent years, satellite imagery, previously restricted to the defence and intelligence communities, has been made available to a range of non-state actors as well. It is often said that the increasing availability and applicability of remote sensing technologies has contributed to the rise of what can be called ‘satellite-based activism’ empowering non-state groups to challenge state practices of seeing and showing. In this article, we argue that NGO activism is not challenging the sovereign gaze of the state but, on the contrary, actually reinforcing it. 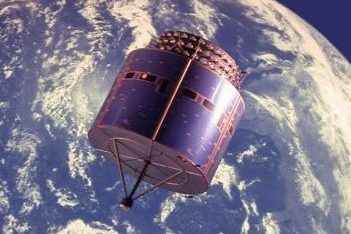 Making the Invisible Visible​: Satellites, Visual Technologies and Environmental Security, post by Delf Rothe at the Security Dialogue Author’s Blog, posted December 10, 2017. 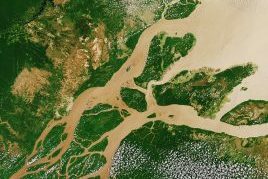 The blog post offers a brief and accessible summary of Delf Rothe’s recent article in Security Dialogue, Seeing like a Satellite: Remote Sensing and the Ontological Politics of Environmental Security. It traces how the understanding of environmental security co-evolved in line with technological developments in the field of satellite technologies. The latest stage of this development is the emergence of geospatial big data as a new form of preventing and governing future environmental threats and risks. 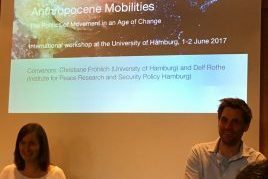 On June 1st and 2nd 2017, the international workshop “Anthropocene Mobilities – The Politics of Movement in an Age of Change” took place at the University of Hamburg. The workshop organized by Delf Rothe (IFSH) and Christiane Fröhlich (University of Hamburg) brought together scholars working in the field of environmentally-induced migration with theoretical thinkers of the Anthropocene. The workshop initiated a fruitful dialogue on the implications of the Anthropocene for human and non-human mobilities. A special issue to be published by Mobilities in 2019 as well as an interactive web platform (www.anthromob.space) are the preliminary results of these discussions. 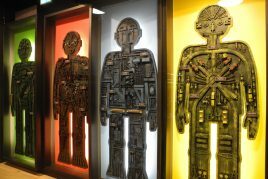 Global Security in a Posthuman Age? IR and the Anthropocene Challenge. 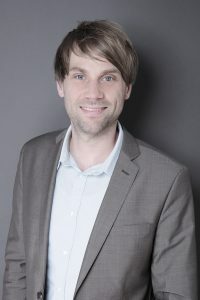 Delf is a postdoctoral researcher and lecturer at the Institute for Peace Research and Security Policy at the University of Hamburg (IFSH). He is particularly interested in critical approaches to security, discourse theory, new materialism, security technologies and visual politics. Within the project, he is responsible for the two case studies on satellite remote sensing and resilience. 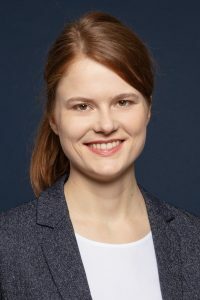 Ann-Kathrin is a political scientist and researcher at IFSH. She is interested in the linkages between imagination, anticipation and governance in the light of anthropogenic environmental changes. 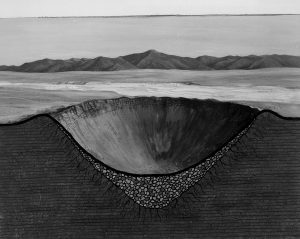 Within the project, she focuses on the anticipation of geoengineering risks and historic predecessors to the Anthropocene debate. Alina is a master’s student at the UHH. She is interested in Critical Human Geography in which the relation between society, space and power is explored. 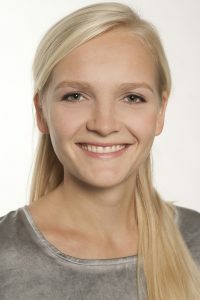 Within the project, she supports the research work and takes care of administrative matters.